For many papers, the bulk of their email database efforts goes toward adding new users with little energy being spent on nurturing this new audience. You're already putting a lot of effort into growing your paper's email database. But once someone joins your list, what are you doing to make sure they stay there? It's important to start this new relationship off on the right foot, and this begins with your Welcome Email. Welcome Emails are triggered emails automatically sent to a new subscriber when he or she opts in to one of your audiences. And while they may sound simple, these emails can make a huge impact on your entire email strategy. Welcome Emails are a unique opportunity to get a head start on meeting audience expectations, improving your deliverability, and a bit of marketing as well. Why? 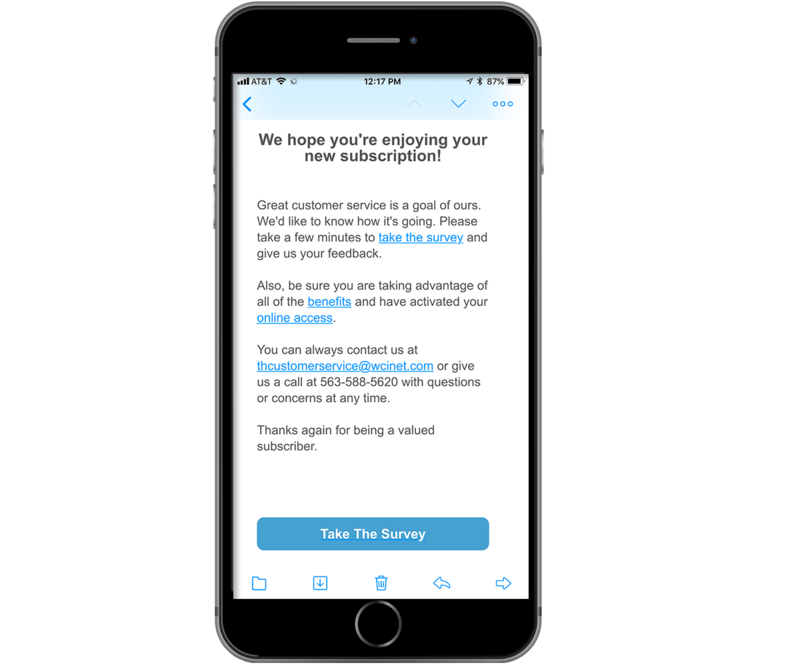 Seventy-five percent of your readers expect to receive a Welcome Email, and these emails drive huge open rates exceeding 50 percent. Plus, this is your quickest way to validate the new email address is real, before you begin sending with any frequency. A welcome email is the first impression your paper's newsletter campaign will make on a reader. This is one email you definitely don't want to take for granted. With the high open rates attributed to Welcome Emails, this is even more reason to invest time into developing an email that's a great first impression of your brand. There are key elements you need to include in this email. Take this opportunity to thank your reader for subscribing, while also reiterating and expanding on the promises you made when they clicked your opt-in. Remind them how often to expect your newsletter and when it will arrive. Don't forget this is your first conversation with this new reader, so it's important to write in the tone and attitude of your brand. But also remember to keep it short. You've just been introduced; this isn't the time to tell your brand's life story. Now that you've gotten in the necessities, it's time to ramp up your Welcome Email. Add your personal touch. Include the user's name, if possible, and write the email as if it came from someone at your newspaper. This could be one of your writers or editors. Consider adding in a link or two to your recent articles or something fun like a video of your team welcoming the user. This is a great way to keep your new audience member engaged while they wait for their first official newsletter. Plus, give them a simple way to share your content with their friends. Looking for a unique sponsorship opportunity to pitch to an advertiser? 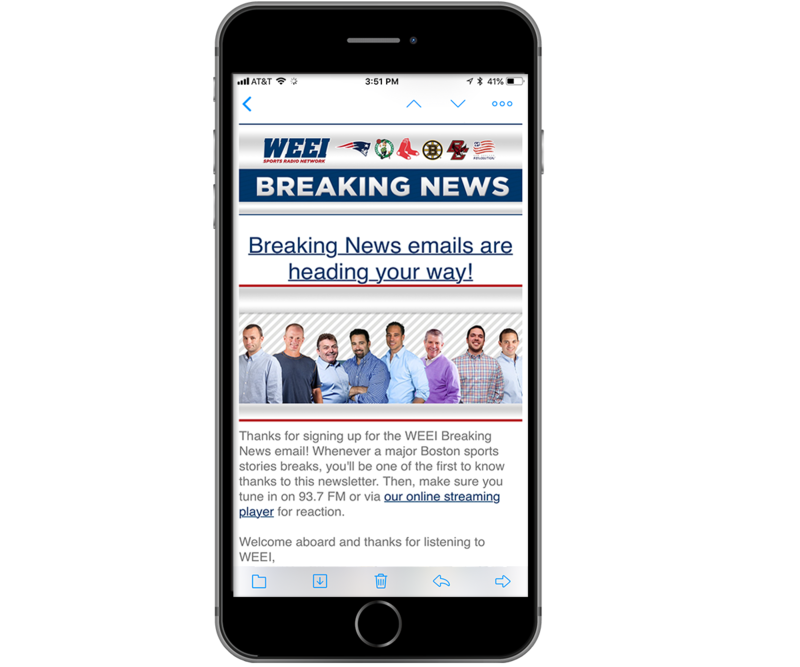 By sponsoring your paper's Welcome Email, not only will your advertiser get their brand in front of a ton of eyes, but you can also include a coupon to their business to drive foot traffic. Lastly, don't forget to use this as an opportunity to help your other initiatives. 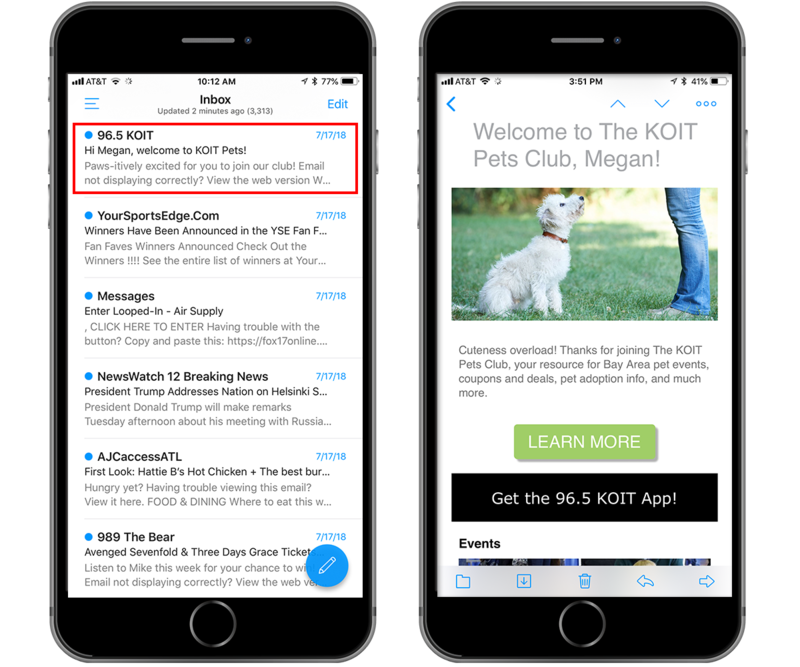 If you have other newsletters, include sign-up links for them. If you are looking to drive ticket sales or subscriptions, use this as an opportunity to market those as well. When do I send a Welcome Email? You should create and send a Welcome Email to every active audience and newsletter subscriber you have. As you get started, take this as an opportunity to clean up your existing database by merging duplicate opt-ins and archiving inactive lists. When it comes to sending your Welcome Emails, you should set these up to send as soon as a new user subscribes to your list. Remember, 75 percent of people are expecting this email – don't keep them waiting. Once a new reader is in your audience, don't think your job is done. It's important to nurture this relationship to keep your audience engaged and help improve your tactics for attracting new subscribers. Set up a follow-up email asking for feedback on your newsletter and its content. 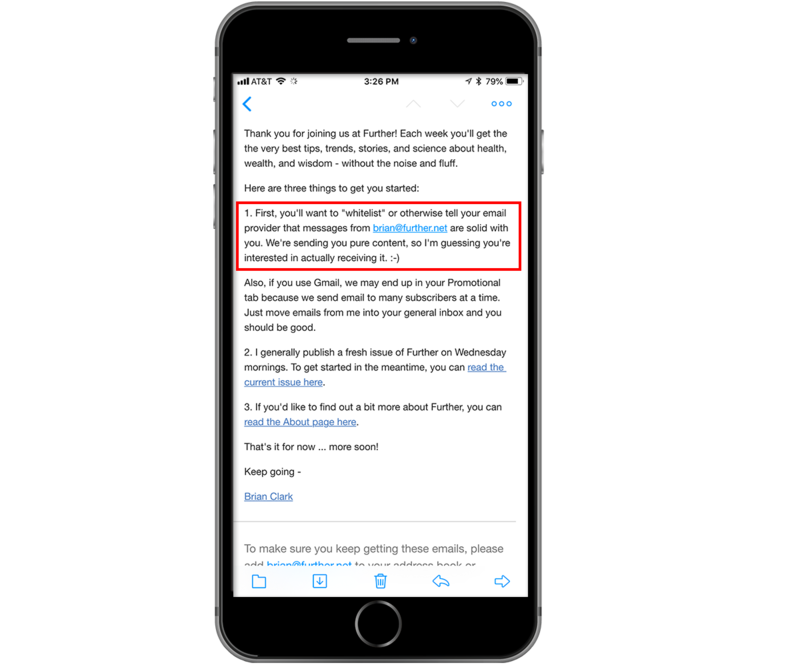 Depending on the frequency of your newsletter, send this follow-up email one to four weeks after the user joins your new audience.